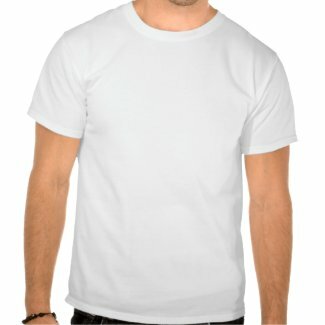 Vegan Thanksgiving t-shirts and gifts. A vegan Thanksgiving is a kind and compassionate holiday for all living beings. A vegan Thanksgiving is a celebration that does not include dairy or meat products or derivatives of any kind. No turkeys are killed or harmed for this compassionate holiday celebration. 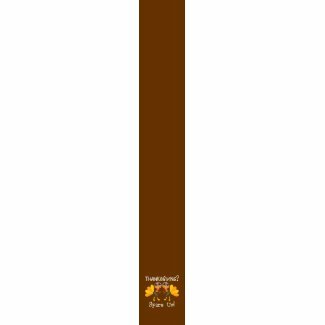 Browse vegan Thanksgiving products. 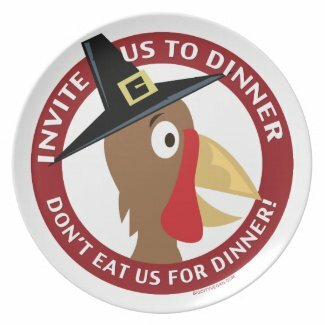 You can shop our vegan message Thanksgiving merchandise at http://www.cafepress.com/bigcityvegan/8161774 or http://www.zazzle.com/bigcityvegan. Show your support with these fun vegan Thanksgiving t-shirts, bags, cups and gifts for promoting a non-turkey eating Thanksgiving dinner. Vegan message Thanksgiving shirts, sweats, bags, cards, buttons and gifts for vegans on Thanksgiving. Don’t eat turkey. Save the bird. Turkey pilgrim says invite us to dinner don’t eat us for dinner. 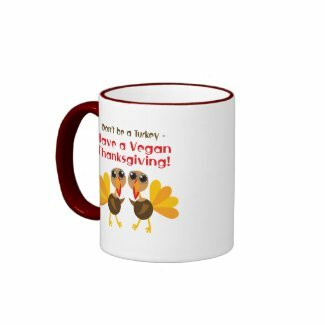 Vegan message Thanksgiving t-shirts, sweatshirts, mugs, posters, bags and more with picture of a cute turkey, text reads Tofu Tastes Better. Compassion message vegan and veggie Thanksgiving products. 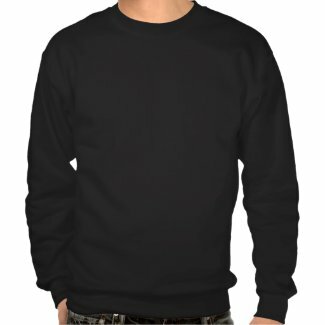 Vegan Thanksgiving t-shirts, clothes, gifts and accessories for spreading the no meat vegan message on turkey day. Two turkeys with text reading Thanksgiving? Spare us! Spare the turkey this holiday. Thanksgiving t-shirts and products help spread the vegan compassion message for Thanksgiving with picture of a turkey and text reads, Eat more stuffing, Save a Bird. Vegan Thanksgiving tee shirts, hoodies, tote bags, mugs and gifts for kids and adults this holiday. Don’t be a turkey have a vegan Thanksgiving t-shirts and merchandise promote compassion for turkeys.